Panel Size: All patterns are available in 48″ x 96″ sheets only. Finish: All patterns are available unfinished to be primed and painted onsite, some panels may be primed at our discretion. 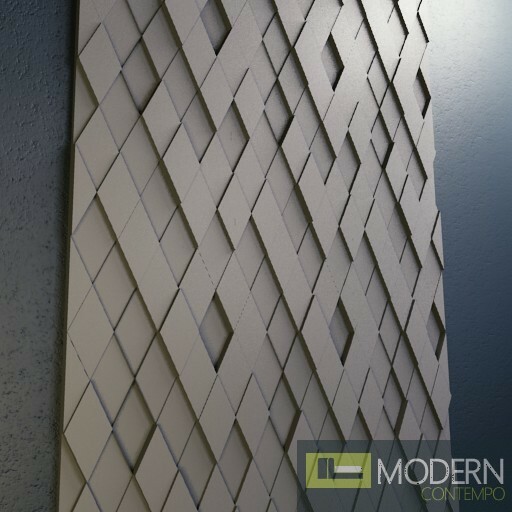 Our prices are for the full size 3d decorative surface covering panels measuring 4’x8’= 32 sq. ft. per panel. Texuredsurface panels are carefully carved and designed to have a continuous pattern flow on all four sides to allow a “seamless” installation. Panels shown are PAINTED FOR DISPLAY PURPOSES ONLY. Prices are for panels sold in a WHITE PRIME FINISH READY FOR PAINTING and are available in-stock for immediate delivery. Panels can be pre-painted for installations that do not require a “seamless” wall finish. For a “seamless” 3D wall effect, the finishing paint must be applied after the panels are installed and the seamless process has been completed. TexturedSurface Exterior Grade 3d panels are a treated wood composite for non-structural paint grade applications. They offer excellent performance in exterior applications because of their capacity to withstand high moisture environments, rotting and termites. Our Exterior Grade MDF panels are Green and made from sustainable materials with no added urea formaldehyde using the patented and proprietary manufacturing process.